Click and drag to move the photo around. Use the mousewheel on a desktop, or pinch to zoom on a mobile to scale the photo. 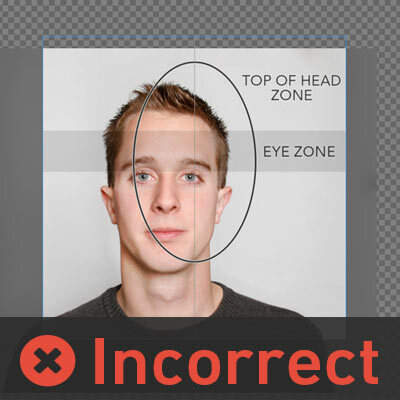 Center the photo in the middle of the head indicator, making sure your eyes are within the Eye Zone. If you want to preview your photo without the guide, click the Toggle Guide Button at the top right. When you are finished, click the green "Finished Positioning" button below the positiong window. We've created three useful variations of your photo to download. Printable anywhere as a standard 4x6in photo! Useful for online visa and passport applications! 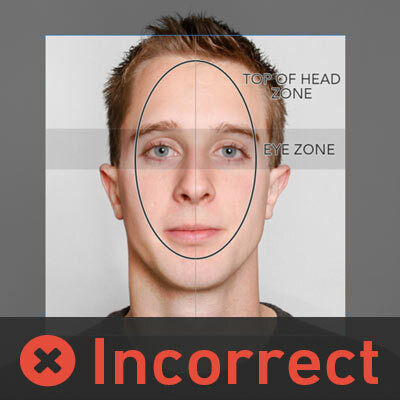 If you found Passport Photo App useful, help your friends save some money by spreading the word! 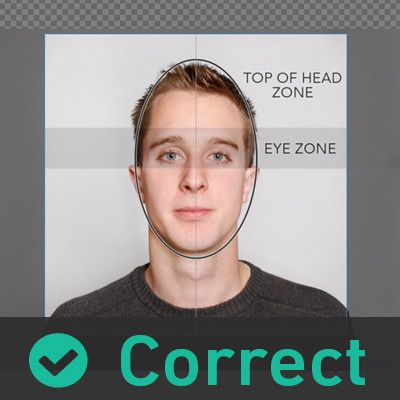 Passport Photo App make it quick and easy to create standard Passport and Visa photos.  Our simple process takes your photo and quickly guides you through the process of creating a downloadable photo which can be printed anywhere. Check out our video for a quick overview. Your image is never saved to our servers or sent over email. 100% free. No hidden charges or supprises. Save your money for the trip. We don't make you wait to download your photos. Get your photos and get on the road. Just three easy steps. 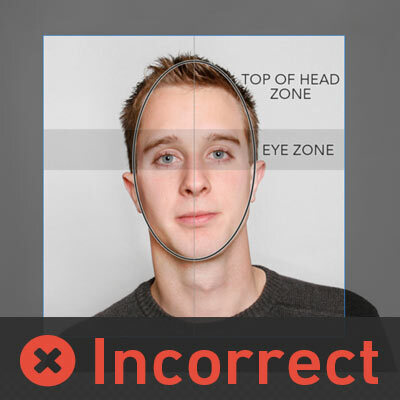 Upload, select your face, and download your photos. It's not rocket science. Our photos adhere to standard sizes so you can print them almost anywhere cheaply. Based on a proven formula that thousands of users have used succesfully since 2006.